Ahead of tickets going on sale, a couple of announcements for All In were made at this afternoon's press conference in Chicago. The press conference closed with the news that Rey Mysterio will be wrestling on the show. It was also revealed that the National Wrestling Alliance will have some involvement with All In, with Cody Rhodes set to challenge for the NWA Worlds Heavyweight Championship. Nick Aldis currently holds the title, and Cody's father Dusty was a three-time NWA Champion. Billy Corgan of the NWA appeared at today's event, and Cody, Tessa Blanchard, Marty Scurll, Hangman Page, and The Young Bucks also spoke. Scurll and Page did a bit where Flip Gordon was disguised as a reporter and asked about Gordon being booked for All In. After it was revealed to be him, Gordon superkicked Scurll before being put through a table by Page. 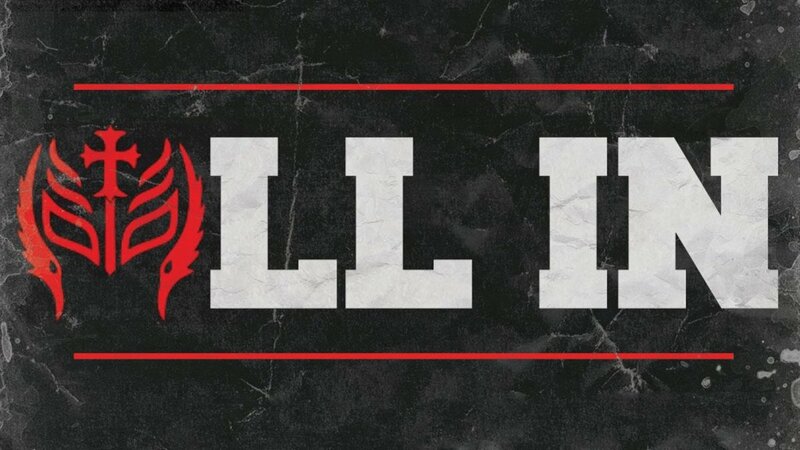 All In will be held at the Sears Centre Arena in Hoffman Estates, Illinois on September 1st. Tickets go on sale today at 4 p.m. Eastern time.